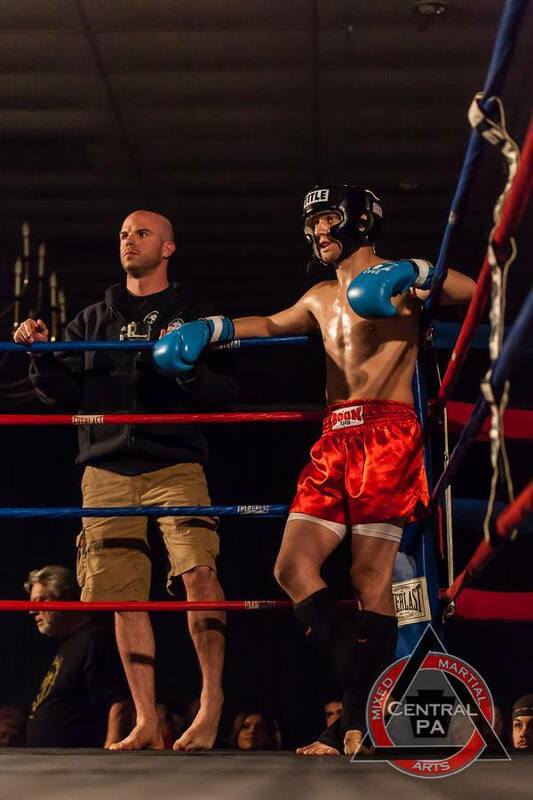 Daniel O’Neil, a student of Central PA MMA, has called it a day on his fighting career; O’Neil will be leaving the combat sports world behind in both of his disciplines: Mixed Martial Arts and Muay Thai. O’Neil (2-1-0) had fully intended on closing the curtains on his career at the Sherman Cage Rage 6 event, but an injury sustained at his last kickboxing fight had aggravated an existing injury and left him unable to fulfill his obligation to Sherman Cage Rage. O’Neil described the aggravated injury as a hernia that had been repaired from years prior; weakened muscle walls, especially in the abdomen can be excruciatingly painful. Dan O’Neil had began his amateur career at Complete Devastation MMA (CDMMA) 8, where he and Ethan Goss opened up the card. O’Neil’s loss to Goss would be the singular loss on his record. At CDMMA 9, as a newly promoted blue belt under Renzo Gracie affiliate instructor Ryan Gruhn, O’Neil turned his career around with an arm bar victory over Jon Rearick. Most recently, O’Neil took an extremely last minute fight with “Brawlin” Donnie Bard for Gladiators of the Cage and scored a victory in what would end up being his last fight in Mixed Martial Arts. Other than being a mixed martial artist, Dan O’Neil was also an amateur kickboxer with a record of 8 wins, 2 losses and no draws. The future does seem bright for the State College trained athlete. O’Neil will be moving to Eastern Pennsylvania to open his own financial advisor practice. In the time that he had been fighting, Dan had been filing the necessary paperwork to run and operate his own business. Those of us at Cage Nation TV wish Dan luck; Albert and Drew thoroughly enjoyed doing commentary for his fights. UPDATE: O’Neil’s coach provided us with his kickboxing record. Photo by Ryan Gruhn / Central PA MMA. Next Next post: Are Guys Like Mike Wilkins the Next Generation of Main Eventer?